Even insurance giants face digital disruption. Although European financial services company Allianz has 85 million customers, 140,000 employees, and insures three-fourths of the top global companies, it keeps a close eye on venture-backed startups and tech companies—and the ways they are winning new customers. With customers using the Internet to research insurance options and increasingly buying online or via apps, Allianz needed to take a customer-centric approach to its business. In doing so, Allianz recognized it needed to be far more agile. 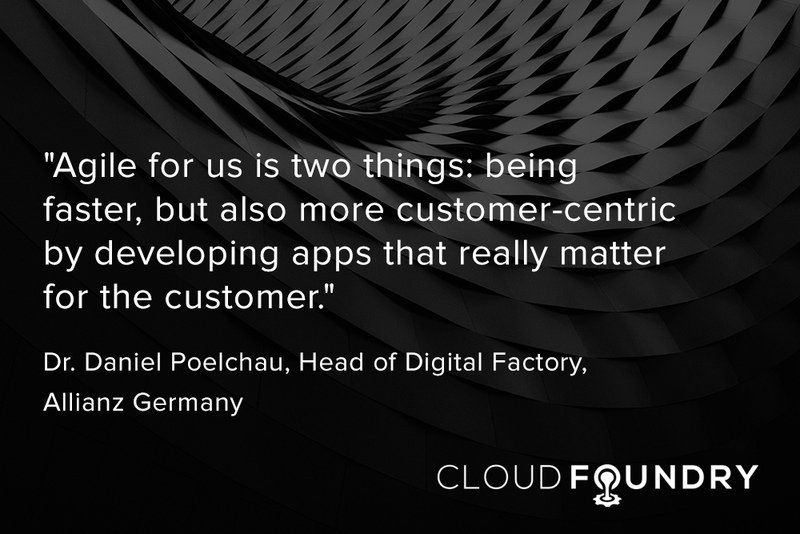 “Agile for us is two things: being faster, but also more customer-centric by developing apps that really matter for the customer,” said Dr. Daniel Poelchau, head of Digital Factory at Allianz Germany. “We have to support this changing customer behavior,” said Dr. Andreas Nolte, CIO of Allianz. 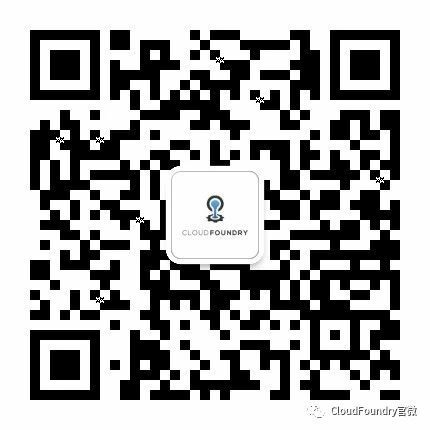 Seeking to create a more convenient and faster customer experience initially drove Allianz to Cloud Foundry. After visiting Pivotal in January, Allianz set up colocation “garages,” or digital factories, close to its offices in Munich and Stuttgart, but far enough that line managers could not influence the daily work of team members. There, small teams focus on one project at a time for 100 days, after which they look at the results, determine if the team was successful or not, what they would have to improve, or whether they need to pivot. Typically, developers, business analysts or designers at Allianz worked on five to 10 projects at the same time. “That is tremendously inefficient,” Nolte said. Now, inspired by the Pivotal Labs model, teams have a daily standup and pairing sessions that yield better-quality code, faster. In the past, it would take two or three days to get to production. “Now, with the apps in the garages on the basis of Cloud Foundry, we can do it in minutes,” Nolte said. And since the change was driven by the CEO, Nolte found there was buy-in from upper management. “They see that software development is faster, and the result is better,” he said. Since the January visit to Pivotal, Allianz has gone from four people to almost 200 working in this fashion. “The CEO and I were both pretty convinced this could influence our speed at digitalization. If you don’t do colocation, if you don’t get the buy-in from the business owner, then you definitely will fail,” Nolte said.